By moving The Players Championship from May to March in 2019, the PGA is finally admitting that The Players Championship will never be a golf major. In 2007, the PGA moved The Players from March to May in the hopes it would start to be considered a golf major but that never occurred. Starting in 2007, with the move from March to May, the PGA started to try and promote The Players Championship as golf's fifth major. But that idea never caught on with fans or with the golfing media. 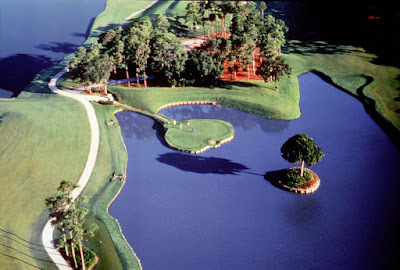 There is no denying that The Players Championship is one of the premier events in the world of golf but the tournament, despite the hype the PGA tried to create, has never risen to the level of a golf major. Instead, golf fans and the golfing media rank The Players Championship at around the level of a World Golf Event or a WGC event. To further try and make The Players Championship a golf major, the PGA increased the prize money for the event to the highest in golf for a time. But even on that front the PGA has conceded defeat as the U.S. Open now boasts the largest purse in golf by at least $1 million. To understand how the PGA is fully admitting defeat in trying to make The Players a golf major one only needs to look to The Masters. The Masters is played in April and is the first golf major of the year and there is no way that golf fans would ever consider any tournament played in the calendar year before The Masters a golf major. So by moving The Players Championship back to March, the PGA is fully admitting The Players will never be a golf major. The PGA is also moving the PGA Championship, one of golf's four majors, to May from August in the hopes of creating more buzz for what most fans consider to be the least important golf major. One can understand the frustration of the PGA regarding golf's majors. The PGA only controls one of the four golf majors yet they run the PGA Tour every year covering the vast majority of top golf events. But the three golf tournaments that make the most money every year are The Masters, the U.S. Open and the British Open. None of which are owned or run by the PGA.